The general rule is that shareholders do not pay tax on corporate income until the income is distributed as a dividend. The foreign corporation can be both a domestic personal holding corporation and a foreign holding corporation. Test for both basically the same. A. Test for if the corp. is a FPHC. mineral, oil, or gas royalties or copyright royalties), and annuities. (B) amounts received from the sale or other disposition of such a contract. The asset test is met if 50% or more of the foreign corporation’s average assets (as defined in the IR Code) produce, or could produce passive income, or are assets (such as cash and bare land) that produce no income. The test is applied based on the foreign corporation’s adjusted basis, for U.S. tax purposes, of the assets, or at the election of the particular shareholder, fair market values of the assets. Can be subject to these rules even if you own just one share. A direct or indirect owner of a pass-through entity where the pass-through entity itself is a direct or indirect shareholder of a PFIC. For more information on determining whether a U.S. person is an indirect shareholder, see Temporary Regulations section 1.1291-1T(b)(8) and Notice 2014-28. But when distributions are made taxed at highest rate + interest. Can avoid by making election to include % of income even though not distributed. Is John Smith a shareholder in any corporation where a US shareholder has 10% interest. And voting means can the 10% or more s/h elect in 10% or more of the Board of Directors. John Smith owns 50% of F1 and F1 owns 30% of F2, John Smith is deemed to own 15% of F2. B. More than 50% of corp owned by US Shareholders. US corp sets up overseas corp F that buys and sells to customers around world to take advantage of low tax rates for corp F.
F Corp provides services for a related person (US parent for example) And services not perform in the country where F is located. We will ignore 2,3, 4, and 5. DEEMED DIVIDEND for excess passive assets. See your tax advisor before using this Memorandum. When preparing the initial tax return here are the elections for 1st year real estate projects to consider. 3. IRC 709 Amortization of Organizational Expenditures. For the average taxpayer the amount of an item than can be expensed rather than capitalized is $2,500 1.263(a)-1(ii)(D). An average taxpayer here is one who does not have audited financial statements. If you use the de minimis safe harbor, do you have to capitalize all expenses that exceed the $2,500? No. Amounts paid for the acquisition or production of tangible property that exceed the safe harbor limitations aren’t subject to the de minimis safe harbor election. Therefore, the safe harbor doesn’t require you to capitalize all amounts paid for tangible property in excess of the applicable limitation. If an amount doesn’t qualify under the de minimis safe harbor, you should treat the amount under the normal rules that apply, i.e., currently deductible if paid for incidental materials and supplies or for repair and maintenance. This treatment is proper regardless of whether the amount exceeds the applicable de minimis safe harbor limitation. The de minimis safe harbor is simply an administrative convenience that generally allows you to elect to deduct small-dollar expenditures for the acquisition or production of property that otherwise must be capitalized under the general rules. The election to adopt the as part of the method of accounting for the first taxable year in which that type of item is incurred. Generally an accrual taxpayer can take a deduction in the taxable year in which all the event has occurred. All events have occurred that determine the fact of there being a liability. The liability can be determined reasonably accurately. B. Economic performance has occurred. 1. The economic performance does finally occur within 8 and ½ months of the year end. 2. The liability is recurring in nature. A taxpayer makes the election by attaching a statement to the taxpayer’s timely filed original Federal tax return (including extensions) for the taxable year in which these amounts are paid. Sections 301.9100-1 through 301.9100-3 of this chapter provide the rules governing extensions of the time to make regulatory elections. The statement must be titled “Section 1.263(a)-1(f) de minimissafe harbor election” and include the taxpayer’s name, address, taxpayer identification number, and a statement that the taxpayer is making the de minimissafe harbor election under § 1.263(a)-1(f). n(2)Time and manner of election. A taxpayer makes this election under this paragraph (n) by attaching a statement to the taxpayer’s timely filed original Federal tax return (including extensions) for the taxable year in which the taxpayer pays amounts described under paragraph (n)(1) of this paragraph. Sections 301.9100-1 through 301.9100-3 of this chapter provide the rules governing extensions of the time to make regulatory elections. The statement must be titled “Section 1.263(a)-3(n) Election” and include the taxpayer’s name, address, taxpayeridentification number, and a statement that the taxpayer is making the election to capitalize repair and maintenance costs under § 1.263(a)-3(n). So if the item is lessor than 2% of the building basis or 10,000 the taxpayer can expenses under the Safe Harbor. For example if you have a rental property with a unadjusted basis of 400,000 then 2% would be 8,000 and that would be your cut off to aggregate amount that could be expensed. Time and manner of election. A taxpayer makes the election described in paragraph (h)(1) of this section by attaching a statement to the taxpayer’s timely filed original Federal tax return (including extensions) for the taxable year in which amounts are paid for repairs, maintenance, improvements, and similar activities performed on the eligible buildingproperty providing that such amounts qualify under the safe harbor provided in paragraph (h)(1) of this section. 1. For those of you who have a retail establishment or a restaurant and are wondering if your remodeling cost should be capitalized or expensed. 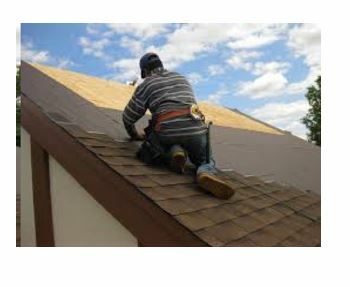 The IRS offers a SAFE HARBOR of taking all of the costs of remodeling and allocating 75% to repairs and 25% to Capital improvement. Rev. Proc. 2015-56. The incredible part is that you have to have an audited financial statement. However the audit fee could be well worth the cost to be able to write of 75% of the remodeling costs. Do you need to make a late election for your C corporation to be a S Corporation for 2016? 1. Fill out the 2553. 2. Sign and date the 2553 and the following example. Make sure you see a qualified tax preparer to make sure the following form is sufficient for your situation. 3. Mail to the IRS Service Center: either Cincinnati OH or Ogden UT. I would suggest sending certified mail. 4. The IRS should send you notification one way or another is accepted or rejected. 1. Properly filled out form 2553 with “Filed Pursuant to Rev. Proc. 2013-30″ written across the top of the Form. The Taxpayer’s failure to file Form 2553 timely was inadvertent; due to a miscommunication regarding the filing deadlines. As soon as the Taxpayer discovered that the 2553 was not filed, the Taxpayer file this 2553. Under penalties of perjury, I declare that I have examined this election, including accompanying documents, and, to the best of my knowledge and belief, the election contains all the relevant facts relating to the election, and such facts are true, correct, and complete. As the sole 100% shareholder from the Effective date of the election, January 1, 2016, through today I have and will on subsequent tax returns, 1040s, report my income consistent with the S corporation status. Some points to consider as we come to the end of 2016. 1. RETIREMENT PLANS – a great opportunity to reduce your taxes. A. 401K plans, Defined contributions, Defined benefit plans. 1. Need to be set up before the end of the year. 2. But you have til the due date of the 2016 return (could be extended to 9/15/17 for corps and partnerships) to fund the 2016 liability. B. 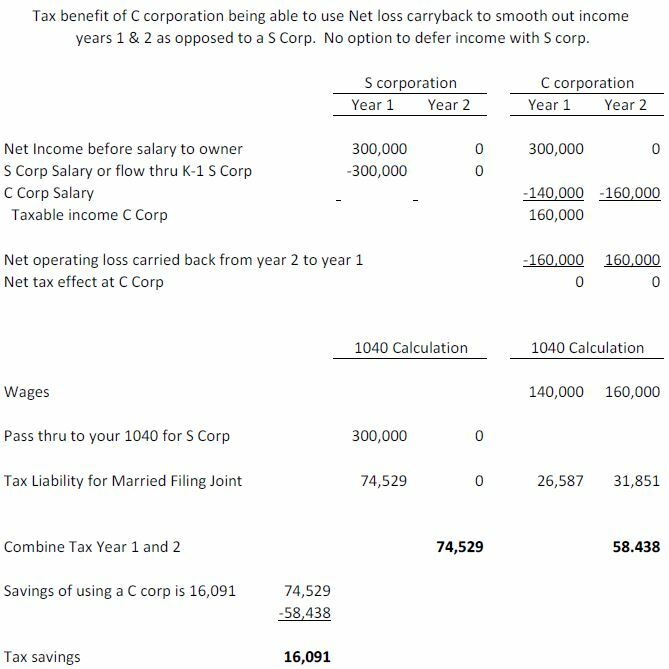 Tax credits for setting up retirement plan 1st year start up 50% of startup cost. At least one person in the plan must be a non highly comp employee. For example, you pay 2,000 to ADP to start your 401K plan. But max credit is $500. C. The SEP retirement plan can be established and funded in 2017 by the due date of the tax return including any extension. 2. EQUIPMENT – If you need new equipment, this is a good time to buy. 3. RECORDS. Good record keeping is critical to making sure you capture all of the deductions allowed. 6. Equipment (desk, phone, lamp) purchased as personal item now used in business. 4. ACCELERATE EXPENSES AND DEFER INCOME. Defer billing in December with the idea that the delay will cause the receipt of payment until 2017. 5. REVIEW WHETHER FOR 2017 CHANGE FORM OF BUSINESS ENTITY. 6. AUTO RULES – two methods. A. Standard 54 cents a mile + parking + tolls. If you want to use standard must elect first year. So your 2000 Ford Taurus needs a new transmission and air conditioning – you can switch to actual. Once you elect Actual you cannot switch back to standard. If you car weights under 6,000 lbs then 1st year combined [standard deduction and 179] = 3,160 limit. 7. HEALTH CARE INSURANCE CREDIT. 1. You buy the insurance thru SHOP Marketplace. 2. You have fewer than 25 employees who work full-time, or a combination of full-time and part-time, with average wage < 50K. 3. Pay at least 1/2 of premium. 4. The maximum credit is 50 percent of premiums paid for small business employers. How is a US Strip Treasury OID taxed for Coupon and Bond portions. I am looking at a Schwab statement that has as description “US Treasury Strip O%26” and in box 8 of the 1099 INT is $3,037. So the idea is that some bright financier has purchase the whole bond and strip it into 2 components. The annual interest portion or the “Coupon” bond and then a second part the “Principal” bond. For example: Bond pays 2.5% interest for 10 years before being split. Principal Bond portion of Strip 80,000 (2016 FMV) —– 100,000 (2026 payout) OID is 20,000. Coupon portion 20,000 (2016 FMV) [ 2,500 X 10 years] —– 25,000 (2026 payout) OID is 5,000. Keep in mind with the Coupon portion you dont actually get 2,500 in cash each year, rather you get 25,000 in cash 10 years from now. So the Schwab statement says the OID is $3,037 but I have no idea if the client owns the coupon bond portion of the Strip or the principal bond portion of the Strip. And I have concluded it does not matter. “The amount shown in box 8 of the Form 1099-OID you receive for a stripped bond or coupon may not be the proper amount to include in income.” The IRS is confusing in its instructions. You can have US stripped bonds, state and city stripped bonds, and private stripped bonds. If you include in Box 8 then this is for state and city OID. In other words box 8 is for state and city bonds with OID that are tax exempt at the federal level but taxable at the state level if the bond is not a bond from your state ( an out of state bond). However interest on a federal obligation like a US Treasury Bill or Note or US Strip Treasuryies are taxable at the Federal level, but not at the state level. So the US OID has to be entered in Box 3. I am going to pick up the OID as taxable federal and not taxable state. The question comes to mind why not just buy a treasury bond? Why would I want to recognize interest income and have no cash to show for it? The other thought is that this US Strip Treasury bond is in a child’s name and with the time I spend figuring out the Kiddie tax form on 2 children’s 1040s and my cost and time does it really do the family any benefit investing in these US Strip Treasury obligations. The Kiddie tax on the 1st $1,050 of income is $0, so the savings in not including the US Strip Treasury interest is the parents rate at 25% or $262.50. The child’s rate is used on the interest income from $1,050 to $2,100 so that rate is 10% vs the parent rate leaves a savings of $157.50. On any income earned on the instrument from $2,100 to $3,037 is tax at the parents rate and so no benefit. So the total benefit is $420 and I charged $400 to do the child’s return. Now IRS form 8814 allows the parent to elect to report the children’s interest and dividends on their tax return and thus avoid having to prepare a separate return and related cost for the child’s tax return preparation. The problem here is that once there is a stock or bond sale of one of the child’s investment a schedule D is required and then the parent cannot elect to use the 8814 form reporting of income and the child has to have a separate tax return prepared on their behalf. Most loans require interest payments. Loans that require inadequate or no interest payments bear original issue discount. Whether interest is adequate is determined with reference to the applicable federal rate (AFR). Under the Internal Revenue Code, original issue discounts on debt instruments are taxed each year, even though the debt may not be repaid until a later date. The tax system will impute an interest rate on the loan. The rules for calculating the original issue discount utilize a compounding interest formula, with the principal recalculated every six months. Section 1272(a) of the tax code requires that the Original Issue Discount is includible in the lender’s taxable income at the end of each tax year, or part of the tax year if the loan was not owned for the full year. This is a general tax discussion. You need to consult your own tax preparer before taking any action on this discussion above. I hope this has been helpful on OID Coupon vs OID bond on a US Strip Treasury treatment. A solution to the traffic problem. Here is a solution to the traffic problem. A tax credit of $5,000 for you to move to be within 1 mile of your job, or get a new job within 1 mile of where you live. For example, a Mary lives in Vienna and works in Bethesda for Marriott as an accountant. Bob lives in Silver Spring and works in Falls Church for IBM as an technician. Everyday they head in opposite directly on 495 and cross at the American Legion Bridge. If Mary loves Virginia and would never think of moving to MD., fine, Mary can get a new job within a mile of her home in Virginia and get the credit. Bob says I love my job with IBM, fine, Bob can find a new residence within a mile of his existing employer IBM and get the 5,000 credit. We have just gotten 2 people off the expressway without having to pour one more foot of concrete. Think of the amount of billable productive hours that are sitting on the highways, the cost of the autos, the cost of the fuel. This is an idea to alleviate the traffic problem. Keep in mind, right row, if you move for Arlington, where you work, to more than 50 miles to start a new job you get a tax deduction for the move on your 1040. Is $5,000 the right number? Maybe it has to be adjusted to income or geographic location where traffic is the worst. 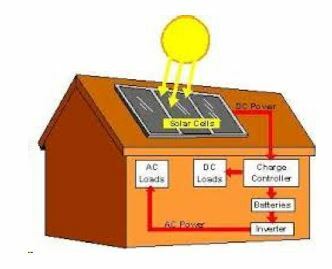 Thinking about energy credit for your home? Let’s look at the restrictions and limits. All of the improvements for windows, insulation, roofs, doors and skylights are limited to 10% of costs. There is a further limit to a maximum of $500 for certain improvements. The total credit allowed is cumulative for all years since 2005 through to today in the amount $500 for windows, insulation, roofs, doors, skylights, stoves, furnaces, central air, and water heaters. So the 1st question you have to ask is how many people have kept track of what they have spent after 2005 – 11 years ago on energy improvements. And certainly the IRS has no way of knowing what you spent in 2006 for insulation, etc. You may have already taken full advantage of the credits listed for for windows, insulation, roofs, doors, skylights, stoves, furnaces, central air and water heaters. However it is always worth reviewing, especially for new home owners. Congress should reset the time clock. 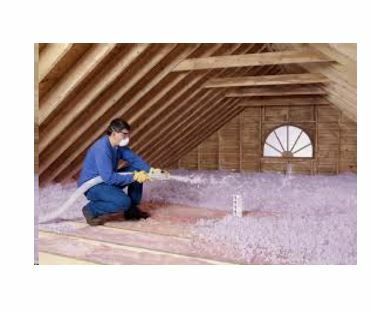 I am sure that with wear and tear on homes in the last 10 years, homeowners should be given an incentive to get up in the attic and put some insulation down, etc. 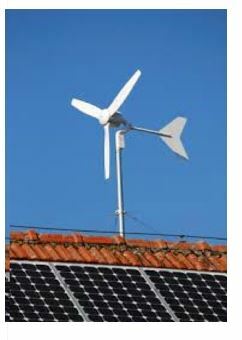 to make their homes more energy efficient. 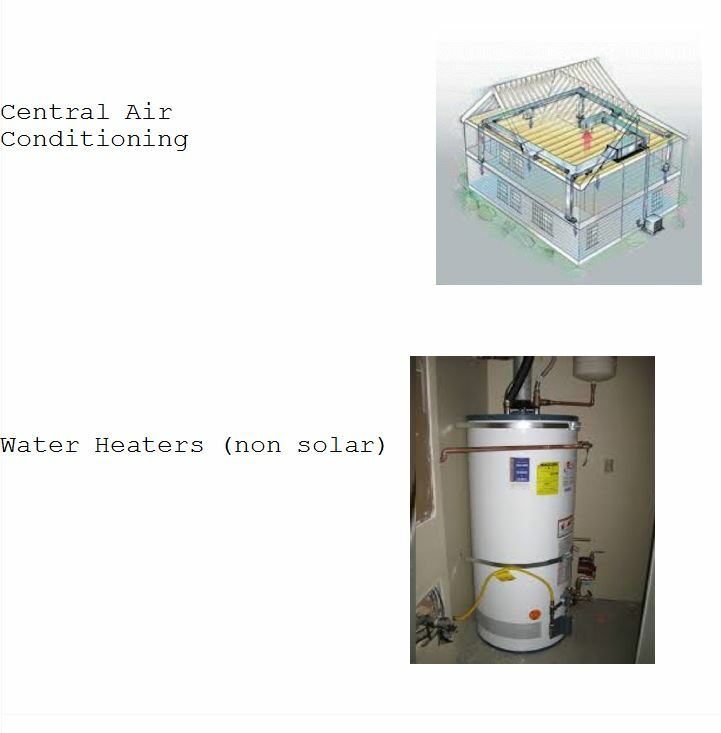 The good news is for geothermal, wind, fuel cells, and solar energy units there is not dollar limit, and the credit is 30%. 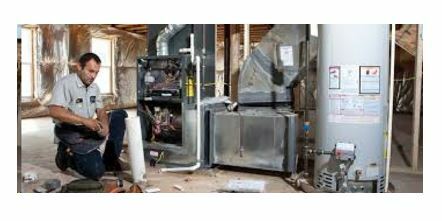 LIMIT for Bio Mass stoves, heat pumps, central air conditioning, and hot water heater credit is $300. If you think about the cost of a water heater being approx $700, then this is a very good credit, but for a furnace that may cost $7,000 a $150 credit is paltry. 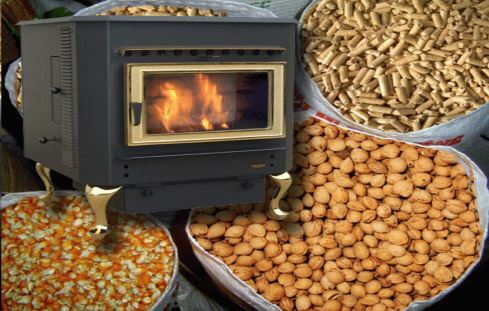 Biomass Stove (burns plant derived fuel to heat your home or hot water) Although wood and wood pellet stoves are most common, biomass fuels includes renewable forms such as corn or even aquatic plants. 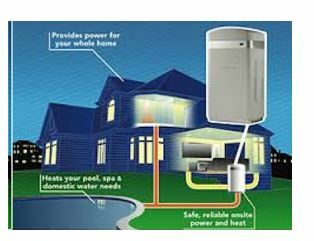 Air Source Heat Pumps. 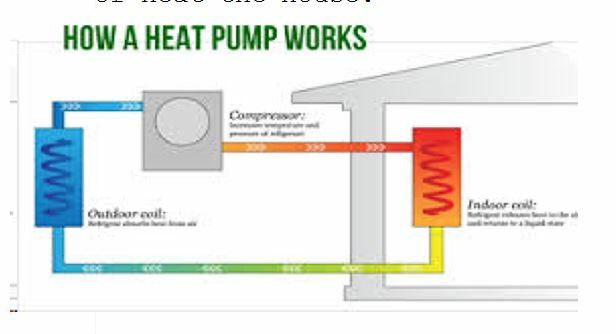 This device absorbs heat in one place and releases it as another either to cool or heat the house. Maximum credit for Natural Gas, Propane, Oil, and Hot Water Furnaces or Boilers is $150. 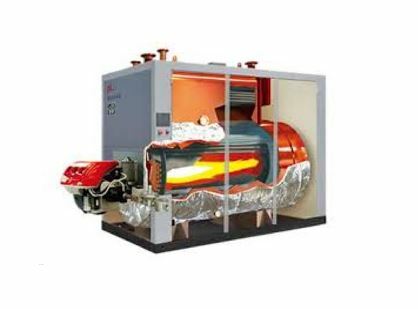 If there is an advance main air circulating fan then a credit is limited to $50. 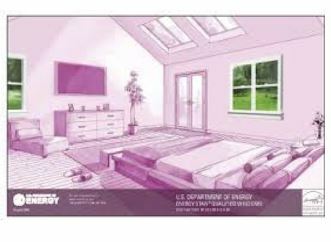 QUALIFIED ENERGY EFFICIENCY IMPROVEMENTS – ROOFS, WINDOWS, SKYLIGHTS, AND DOORS. Remember costs are multiplied by 10% to calculate credit. Maximum cost is $2,000 X .10 is $200. Fuel Cells. A machine that creates electricity by the interacting of hydrogen and oxygen. C. For both new homes and existing homes qualify – and principal residence and 2nd homes qualify. The IRS form to claim a credit is form 5695. As typical these credits are subject to almost yearly renewal. So you may want to do energy conservation in 2016 because you don’t know is Congress will renew. The one exception is for Geothermal, Wind, and Solar the 30% credit is through 12/31/19, and then is reduced to 26% for 2020,and then drops to 22% in 2021 the final year. Can a 1041 tax return fiscal year filing end on any day of the year? Can an Estate choose any day of the year to end its fiscal year in filing the 1041 tax return? An Estate can choose a fiscal year for a year end. But can an Estate choose any day of the year for a year end What if you are trying to close the estate in one year and not have to incur the cost of preparing a second 1041 tax return? For example, the death occurs on February 22, 2015, and the client is on February 15th of 2016 just finishing selling stock, collecting dividends, and making the final distributions. Can I elect a February 21, 2016 year end? If not, I would have to choose January 31, 2016, and then a second 1041 would have to be filed. So unfortunately, the estate will have to have a January 31st year end, and a second 1041 tax return will have to be filed for the activity in February.